Postcard RU-3302574 from Russia shows the main facade of the Stock Exchange Building at Saint Petersburg, Russia in 1903. According to Wikipedia, the Stock Exchange Building, designed by French architect Thomas de Thomon, and inspired by the Greek Temple of Hera at Paestum, was constructed between 1805 and 1810. The Rostral Columns erected on either side of the Stock Exchange were completed in 1811. One of the columns can be seen on the left side of the postcard. 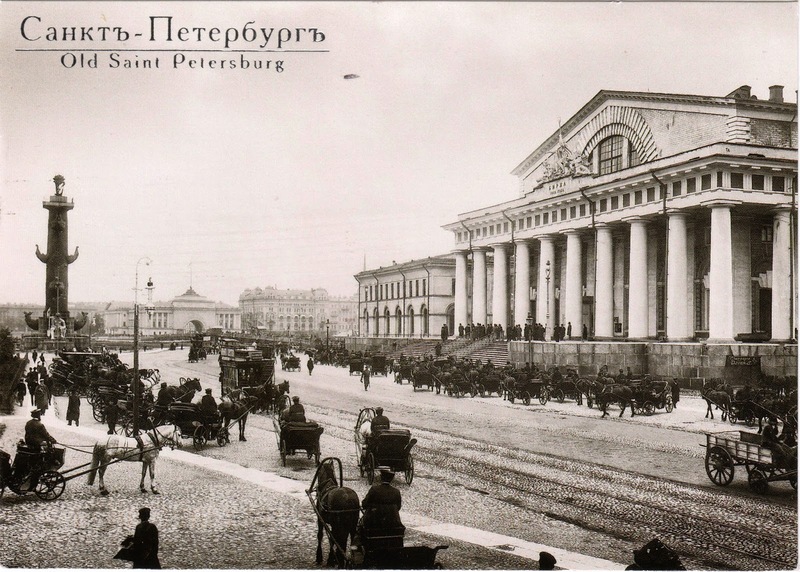 The Old Saint Petersburg Stock Exchange and the Rostral Columns are significant examples of Greek Revival architecture. 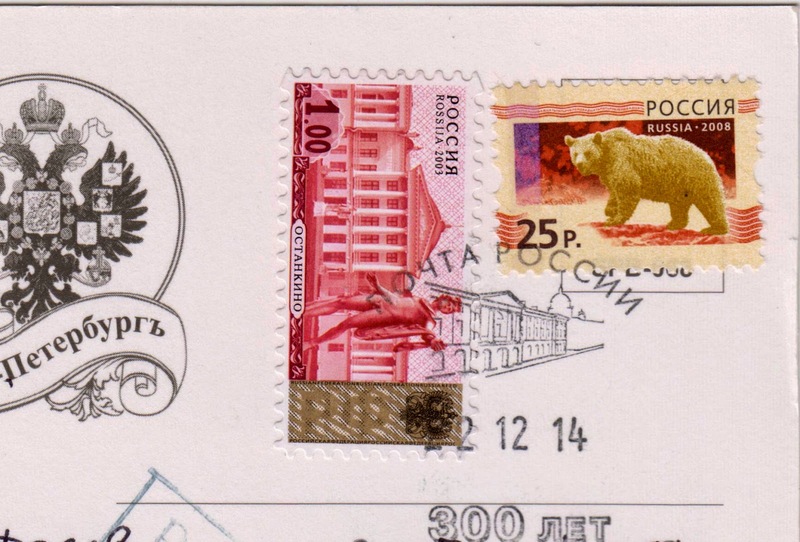 The postmark indicates that the card was mailed on December 22, 2014 and had traveled more than 120 days.